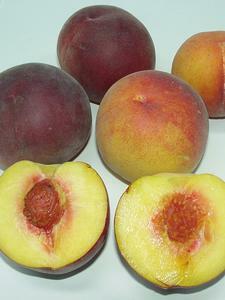 Prolific crops of medium-size red-blushed fruit in mid-season. Flesh is yellow, very sweet, low acid and juicy. Clingstone. Well suited to the warmer areas of the country. Spreading tree.